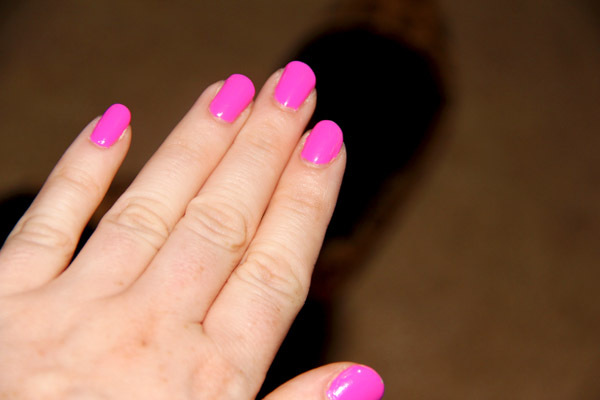 I was looking for the perfect bright pink nail polish and yes, friends, this is it. It is sort of a Barbie pink. I have been loving all things fuchsia lately. Fuchsia errythang. This looks great on toes. Like really great. It goes on nice and smooth and opaque in about two coats. I used my Seche Vite top coat over this and it takes a few days to chip, which is actually better than many nail polishes I own. Love. 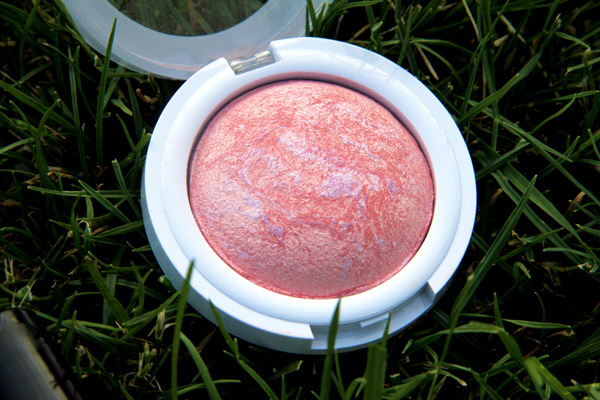 This blush is sort of reminiscent of a MAC MSF. It is a lovely cool toned pink color with a lilac veining running through it. It adds a nice lilac-pink shimmer to the cheeks and looks really great when I'm wearing a bit of bronzer. I like wearing this with purple toned pink lipsticks. I also remember this being quite inexpensive. I want to say they are about $7 and can be found at Walmart. Thanks for reading! 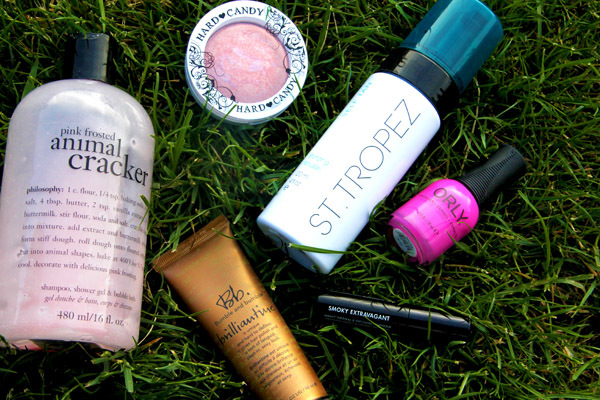 What products are you loving right now? Have you tried any of these? What did you think? Let me know in the comments! Ooh that Philosophy bodywash sounds so much fun, I want to smell it now!! But anyways, you've got a great blog! Would you like to follow each other?